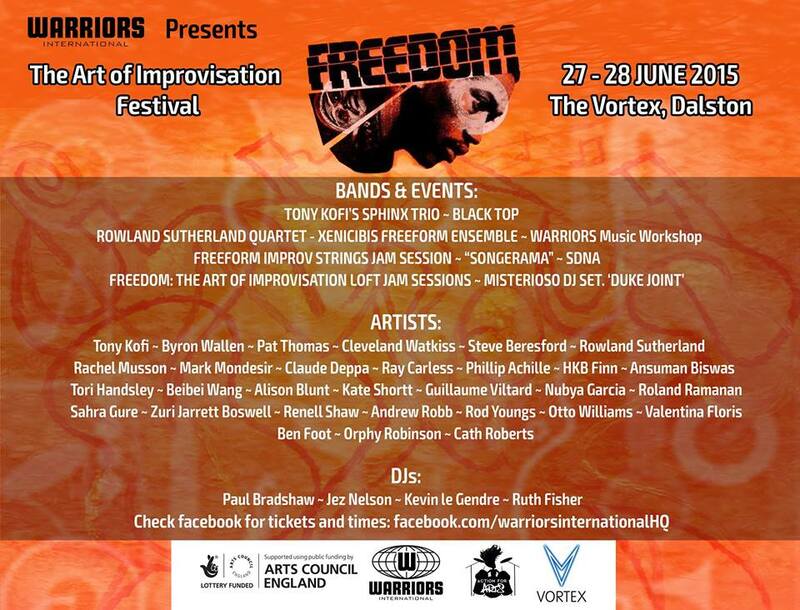 Quick post to shout about a cool gig coming up this weekend at the Freedom: The Art Of Improvisation Festival, organised by Warriors International. I’m playing on Saturday afternoon as part of a large group called the Xenicibis Freeform Ensemble. Put together by the festival, the ensemble features lots of amazing musicians, most of whom I haven’t played with before! We’re doing a totally free set and it should be a lot of fun. More info about the festival, plus the full lineup, can be found on its website…see you at the Vortex! 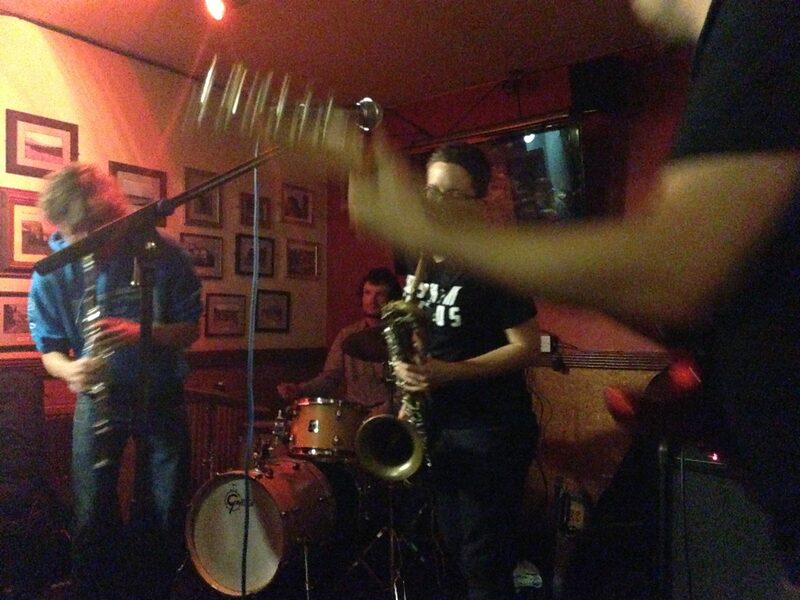 This entry was posted in Gigging, News on June 23, 2015 by cath.